Lens Description: Featuring Fluorite optics that deliver sharper images with less chromatic aberration, the new large-diameter EF 600mm f/4L IS II USM super telephoto lens also takes advantage of magnesium and titanium construction for a lighter weight and a Fluorine coating that keeps soiling, smears and fingerprints to a minimum. 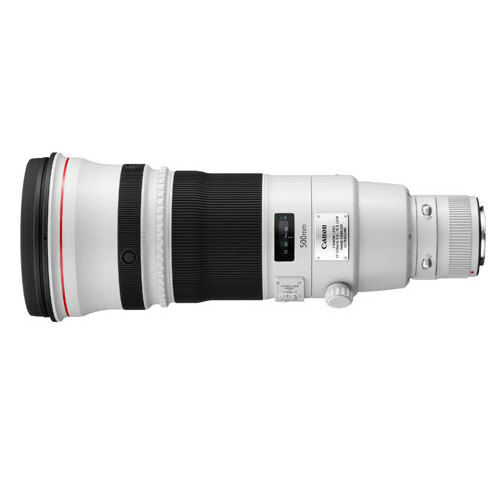 Because image stabilization technology in super telephoto lenses may inadvertently over-compensate and interfere with composing and framing distant or moving subjects, the EF 600mm f/4L IS II USM includes an advanced third Image Stabilization mode (Mode 3) that activates IS only when the shutter button is fully pressed. This allows users to pan fast-moving subjects and then activate IS only when it is precisely required. Because all three IS modes give the equivalent effect of up to four extra stops of performanc, and because plus the Power Focus mode enables smooth focus change when shooting video, the EF 600mm f/4L IS II USM is ideal for capturing rapid-fire action. 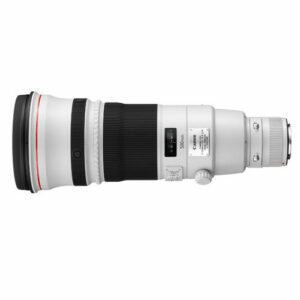 Other improvements such as better dust- and waterproofing make the Canon EF 600mm f/4L IS II USM super telephoto lens an ultra high-performance Digital Age tool combining Canon hallmarks of superb ease-of-use with excellent durability.